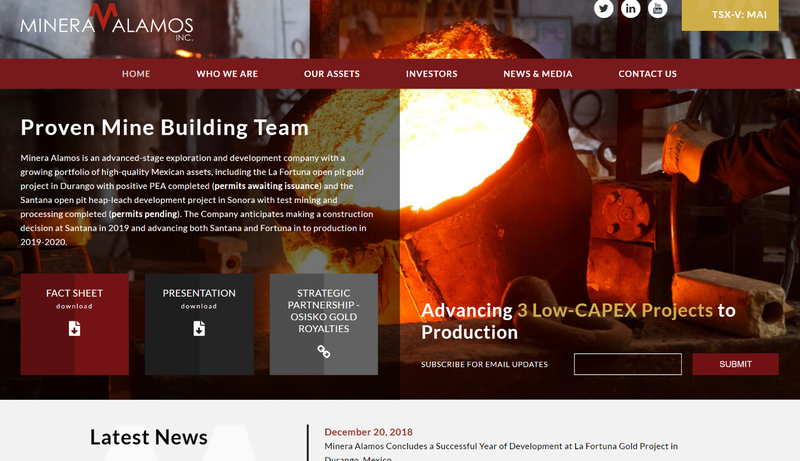 Minera Alamos Launches New Website and Announces Attendance at VRIC Conference | Minera Alamos Inc.
Minera Alamos Inc. (“Minera” or the “Company”) (TSX VENTURE:MAI) cordially invites you to visit with Company representatives at Booth #838 at the Vancouver Resource Investment Conference (VRIC) to be held at the Vancouver Convention Centre West (1055 Canada Place, Vancouver) on Sunday, January 20th – Monday, January 21st, 2019. 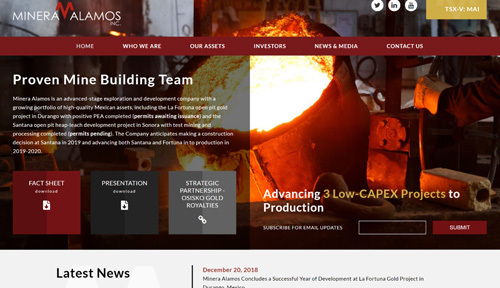 In addition, the Company is pleased to have launched a brand new and comprehensive website at www.mineraalamos.com and we welcome site visitors to sign up to ensure prompt receipt of Minera’s news and updates. The Company’s strategy is to develop low capex assets while expanding the project resources and pursue complementary strategic acquisitions.